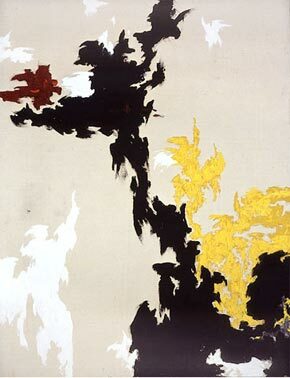 Clyfford Still was born on November 30, 1904, in Grandin, North Dakota. He attended Spokane University, Washington, in 1926 and from 1931 to 1933. After graduation, he taught at Washington State College, Pullman, until 1941. Still spent the summers of 1934 and 1935 at the Trask Foundation (now Yaddo), Saratoga Springs, New York. From 1941 to 1943, he worked in defense factories in California. In 1943, his first solo show took place at the San Francisco Museum of Art, and he met Mark Rothko in Berkeley. That same year, Still moved to Richmond, Virginia, where he taught at the Richmond Professional Institute. When Still was in New York in 1945, Rothko introduced him to Peggy Guggenheim, who gave him a solo exhibition at her gallery-museum Art of This Century in early 1946. Later that year, the artist returned to San Francisco, where he taught for the next four years at the California School of Fine Arts. Solo exhibitions were held at the Betty Parsons Gallery, New York (1947, 1950, 1951) and at the California Palace of the Legion of Honor, San Francisco (1947). In New York in 1948, Still worked with Rothko and others on developing the concept of the school that became known as Subjects of the Artist. He resettled in San Francisco for two years before returning again to New York. A Still retrospective took place at the Albright-Knox Art Gallery, Buffalo, New York, in 1959. In 1961, he settled on his farm near Westminster, Maryland. Solo exhibitions of Still’s paintings were presented by the Institute of Contemporary Art, University of Pennsylvania, Philadelphia (1963), and Marlborough-Gerson Gallery, New York (1969–70). 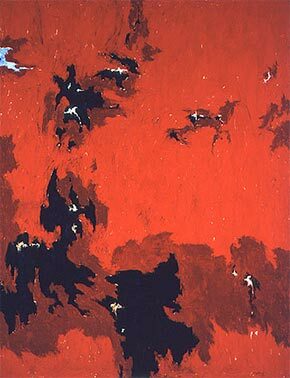 He received the Award of Merit for Painting in 1972 from the American Academy of Arts and Letters, of which he became a member in 1978, and the Skowhegan Medal for Painting in 1975. Also in 1975, a permanent installation of a group of his works opened at the San Francisco Museum of Modern Art. The Metropolitan Museum of Art, New York, gave him an exhibition in 1980. 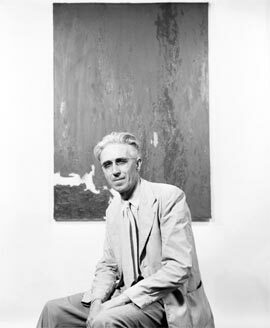 In 2011, the Clyfford Still Museum opened in Denver, exhibiting Still’s oeuvre, maintaining his archives, and caring for its collection, composed of nearly 94 percent of Still’s artistic output. Still died on June 23, 1980, in Baltimore.